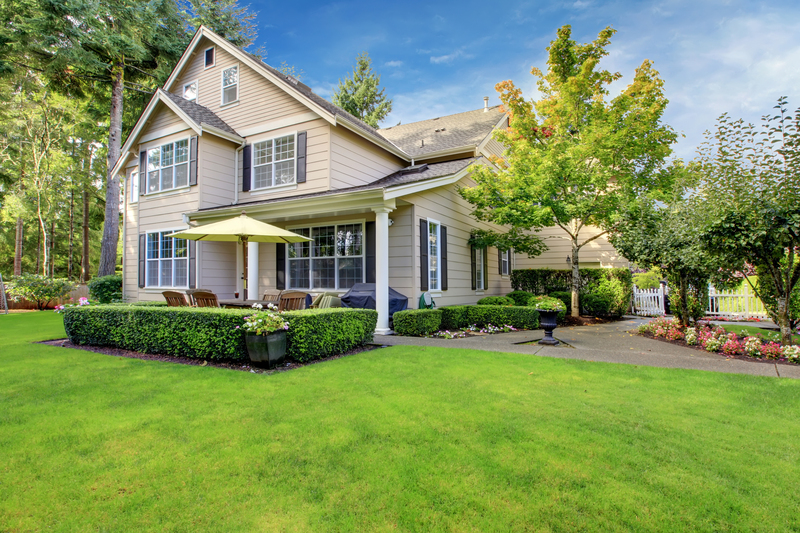 The use of fertilizers, insect control, disease control and weed killers is a critical, yet often overlooked, aspect of lawn and landscape care. At Brackman’s Stepping Stone, we maintain a large stock of all control products. We stock primarily Fertilome / Hi Yield products, which is a premium producer of some of the leading chemical application solutions in the country. If you have any questions about a specific pest or disease control issue, feel free to bring a sample to our store and our knowledgeable staff will assist you in identify your problem, and the best method of control. Please remember, when bringing in an affected sample, please put it in a plastic bag so no nursery stock is contaminated! Fertilizers are a must to maintain maximum bloom time and a healthy plant. Different types of plants require different types and rates of fertilization. Bedding plants (annuals and perennials) require light and frequent fertilization during bloom time. Smaller and more frequent applications will ensure blooms throughout the color season. Other plants, shrubs and trees require less frequent but heavier applications. Once a month for most flowering shrubs and every other month for ornamentals will ensure a healthy plant. Remember, it is important to start your fertilizing early in the spring and continue until the fall. No fertilizing should occur during dormant periods, as it will encourage premature growth. At Brackman’s Stepping Stone, we carry a variety of fertilizers, from once season applications, to weekly liquid applications. 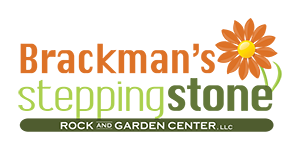 Stop in and ask our staff what product best meets your needs to achieve a healthy and beautiful garden. Many times garden pests are not thought of until they show their ugly faces. Insects can destroy a beautiful yard in a little amount of time. It is always important to anticipate insect issues and nip them in the bud before they take over. For example, crape myrtles are noivetorious for attracting aphids. Therefore, once would want to watch out for the critters and take care at the first sign of infestation. No matter what the insect or plant is, it is important to be aware of garden pests and the destruction they can cause. Our staff can make you aware of common critters that munch on your plants, as well as recommend certain control products that will be most beneficial to you. There a two main approaches a gardener can take when it comes to disease control for plants. You can be pro-active, and maintain a regular spray regime. Or, you can be reactive, and solve problems as they arise. Most of use fall into the second category and take problems on as they arise. Again, as with insects, it is important to stay ahead and be aware of common problems with your plants. Our staff can assist you with any insect problems you may have, and help you develop a spray schedule that meets both your time and needs. Weeds are an unsightly and unwanted garden guest. Not only are they unattractive, they also deplete the vital nutrients from the soil that your desirable plants desperately need, especially during the hot summer months. Weed killers are applied in two general methods. Pre-emergent weed control is applied (usually in granular form) directly to the soil before the weeds appear. This control technique stops the weeds before they begin. The second method of weed control is post-emergent application. Post-emergents are usually in liquid form, and are applied as a foliage spray. Within this category there are two types of control, selective and non-selective. These are exactly as they sound, the selective weed killer is specific to the type of weeds it kills. Non-selective kills anything it comes in contact with, including your desirable plants.